When Oakland's new minimum wage kicks in on March 2, many restaurants plan to raise prices — and, in a few cases, eliminate tips altogether. 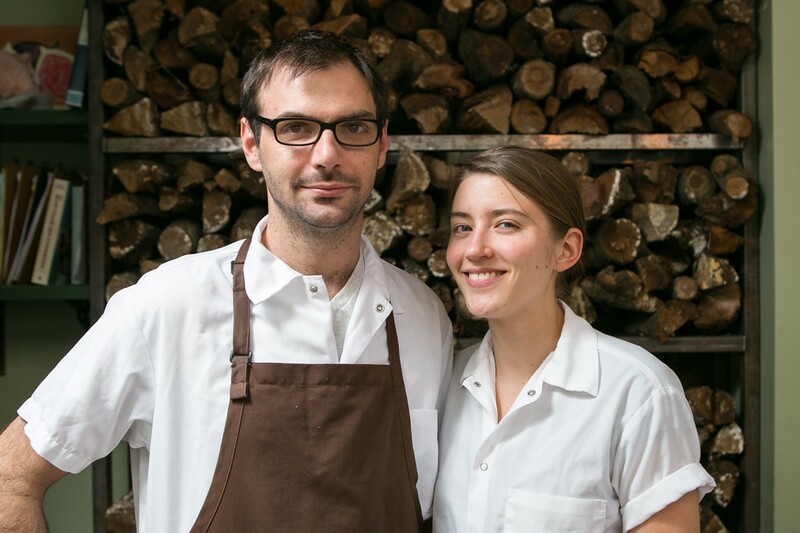 Fred Sassen and his wife Elizabeth Sassen are the co-owners and chefs at Homestead, an Oakland farm-table restaurant that plans to eliminate tipping. The verdict could not have been clearer. Last November, more than 80 percent of Oakland voters approved Measure FF, thereby raising the city's minimum wage from $9 to $12.25 an hour. It was a resounding victory for Lift Up Oakland; the coalition of labor unions and community organizations that sponsored the ballot proposal; for progressives who supported the cause; and, of course, for the upwards of 40,000 workers who are expected to receive a raise as a result. But on March 2, when the new minimum wage kicks in, many Oakland restaurant owners say they will raise menu prices — by more than 20 percent in some cases — to finance the wage increase. Local restaurateurs have widely disparate views on how much of a price hike they think will be necessary, and some of their conclusions about the impact of the minimum wage contradict the analysis of labor economists, who have tended to downplay the impact that minimum wage hikes have on restaurants. In addition, a growing number of restaurant owners are using the minimum wage increase as an opportunity to address a longstanding pay inequity in the dining industry. They describe a common scenario in which servers, whose paychecks have traditionally been bolstered by tip revenue, earn far higher incomes than cooks and other back-of-the-house employees, who generally benefit very little, if at all, from tips. Restaurateurs say the result is that a part-time server who waits tables at a busy, upscale restaurant might make two or even three times as much money per hour as someone who's working long hours as a line cook. 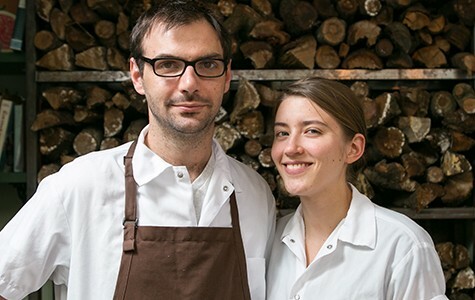 Fred Sassen and his wife Elizabeth Sassen are the co-owners and chefs at Homestead, a quintessentially Bay Area kind of farm-to-table restaurant in which the couple make their own cheeses and bake their own bread. Sassen said that while he supports the minimum wage increase, he believes that if he doesn't make dramatic structural changes at his restaurant, implementing a higher minimum wage for servers would ultimately go against the spirit of the law, the intent of which was to benefit a business's lowest-paid workers. According to Sassen, the only employees at Homestead whose base pay is currently $9 an hour are the servers, whom he estimates also take home between $25 to $45 an hour in tips on top of that, which comes out to an effective wage of roughly $35 to $55 an hour. That's in stark contrast to Sassen's cooks, who generally only make about $15 an hour — more than the minimum, but barely a living wage in a city with an increasingly high cost of living. Sassen argues that a straightforward implementation of the minimum wage increase would only benefit the workers who already get paid the most, thereby widening the existing pay gap at his establishment. And so he and his wife plan to implement an alternative: On March 2, they will raise the price of everything on the menu by 20 percent, and eliminate tipping altogether. With that added revenue generated by the price increase, the Sassens plan to give all of their back-of-the-house employees a raise — to as much as $18 an hour. But their servers will experience a substantial pay cut. Instead of $35 to $55 an hour, they'll be paid a base wage of between $18 and $24 an hour — and will receive no tips. Homestead is one of a handful of mostly higher-end Oakland restaurants that are planning to move toward this tip-free model. It's a radical step, and one that's sure to spark controversy — both from the segment of the dining public that likes to tip waiters and waitresses for good service, as well as from labor activists who say that restaurant owners like Sassen are using the minimum wage hike as an excuse to unfairly slash servers' pay. But the move by Homestead and other restaurants also raises broader questions that the minimum wage hike is now — inadvertently, perhaps — prompting both restaurant owners and customers to grapple with. For example, which employees at a restaurant are responsible for creating the most "value," in terms of what a customer experiences when he or she eats out — and are those employees compensated accordingly? Lev Delany, chef and co-owner of Chop Bar in the Jack London district, explained that he hoped the overwhelming support for Measure FF meant that voters were saying they support a living wage and are willing to pay for it through higher prices, rather than that they want to force business owners to pay their staff more out of some pile of money restaurateurs are secretly hoarding. "They need to put their money where their mouth is," Delany said. Even if you accept Sassen's conclusions about tipping, the high wages that servers at restaurants like Homestead receive are not representative of the nation's food industry as a whole. Indeed, ever since a massive fast-food-worker strike in New York City two years ago sparked a nationwide movement — including protests in Oakland — the plight of the typical restaurant worker has received more and more attention. According to a report published in October by the Restaurant Opportunities Centers (ROC) United, a national organization that advocates on behalf of restaurant workers, more than a quarter of Oakland restaurant workers who were surveyed received food stamps or some other form of public assistance, and more than a third didn't have the money to purchase an adequate amount of food to eat — a bitter irony for folks who spend most of their waking hours cooking for and serving food to others. Growing public awareness about those bleak realities, thanks to a strong campaign by Lift Up Oakland and its affiliated organizations, played a role in generating broad support for Measure FF and similar minimum wage bills that passed in San Francisco and Berkeley. It's also worth noting that a handful of Bay Area restaurant owners were some of the loudest initial critics of the proposed minimum wage hikes, asking, variously, for a more gradual wage increase or an exemption for tipped employees, or some combination of the two. These alternative proposals, while widely disparaged by labor activists, did point to the fact that California is one of seven states that have no a "tip credit" provision — meaning that unlike in the other 43 states, it's illegal for a restaurant in California to pay tipped servers a sub-minimum-wage rate, which can be as low as $2.13 an hour in states in which the federal tipped minimum wage is the baseline. In that sense, a waiter in, say, Texas or New Jersey is in a much more precarious position — dependent almost entirely on tip income to scratch out a living — than those in California. Of course, even in California, a tipped waiter at a chain restaurant such as Olive Garden or Applebee's likely pockets only a small fraction of what the servers at places such as Homestead take home in tips. During interviews with more than a dozen Oakland restaurant owners in recent weeks, all of them expressed support for the minimum wage increase — at least in principle. But even among the restaurateurs who backed Measure FF before it passed, there's a certain amount of angst. Sal Bednarz, the owner of Actual Cafe and Victory Burger, penned an essay declaring his support of the ballot measure in the weeks leading up to the election, but said that his belief in the principles behind the law won't make the transition any easier for his business. There's just too much uncertainty about how customers will respond to higher prices. "It's a really difficult and long-term project for me and for every restaurant that's going through it," Bednarz said in an interview. Preeti Mistry, chef-owner of Juhu Beach Club, a hip, pink-interiored Indian restaurant in Temescal, argued that restaurant owners such as her, who are also chefs, are even more inclined to sympathize with their lowest-paid employees' need for a living wage. After all, she works with them side-by-side with them on a daily basis. Mistry, a Temescal resident, said that sometimes her neighbors will ask her why she didn't just pay her employees what they deserve even before the minimum wage increase went into effect. Like Delany, Mistry flips the question around. "Because you wouldn't have voted to pay $3 more for your curry," she said. "You guys don't realize you benefit from the minimum wage being as low as it is." 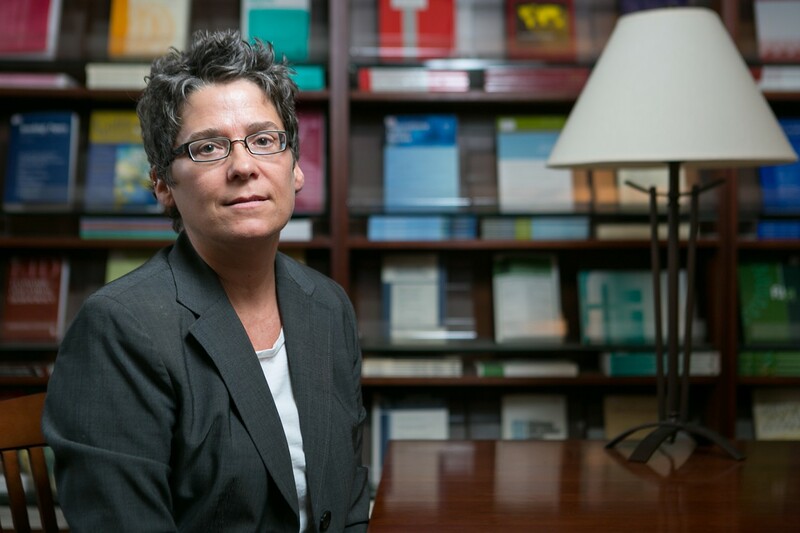 According to Mistry, the new minimum wage law evens the playing field. Now, she feels she has "permission" to raise her prices, not only because she has a concrete reason to point to if customers complain — but also, of course, because many other restaurants in Oakland are going to raise their prices, too. Of the restaurateurs I spoke to, only one — Taiwan Bento's Stacy Tang — said she didn't plan to raise prices immediately after the minimum wage increase goes into effect. But even in that case, Tang said she's only putting off the inevitable price hike for fear that a relatively new restaurant such as hers can't raise prices without losing a big chunk of its customers. She said for the time being she'll operate without any profit — or even at a loss. Among other restaurant owners interviewed — some of whom operate high-end eateries, others casual neighborhood cafes and budget-priced takeout joints — the amount they plan to raise prices varied widely, based on such factors as how expensive their establishment was to start with, how much of its business consisted of tipped table service, and the extent to which owners planned to extend raises to back-of-the-house employees who already make more than $12.25 an hour. For instance, Bednarz said he will raise prices at Actual Cafe and Victory Burger by roughly 5 to 7 percent. And both Chop Bar and Lungomare, co-owned by Delany and Chris Pastena, will implement a 5 or 6 percent price increase. Mistry, on the other hand, said she hadn't yet decided on prices at Juhu Beach Club, but she expected the increase to be significant — definitely more than 5 or 10 percent. Jay Porter, who owns the The Half Orange — a restaurant in Fruitvale that's been praised for offering a good value — said he has already raised prices by 12 percent, and may have to increase them again. The owners of FuseBOX (in West Oakland), Grand Lake Kitchen (near Lake Merritt), and Kingston 11 (in Uptown) all said that they, too, are planning to raise prices, but didn't specify, or had yet to decide, exactly how much the increase would be. Ultimately, Kingston 11's chef and co-owner Nigel Jones said that regardless of what approach restaurateurs take, they're all going to be forced to tackle the same fundamental issue: "the fairness in terms of how you pay people, based on work that they're doing and the importance of that work to the restaurant." Therein lies the question that an increasing number of Oakland restaurateurs are now addressing. Doesn't a cook contribute at least as much, if not more, to a dining establishment's success as someone who waits tables? And so, apart from raising prices, even restaurants that aren't going to the extreme of Homestead's tipless model are looking for ways to close the pay gap between their front-of-the-house and back-of-the-house employees. Chop Bar and Lungomare, for example, are playing around with the idea of adding a separate back-of-the-house tip line, which would allow those employees to benefit from tips — a wrinkle that, in theory, gives customers the option to "reward" the kitchen, whether out of a sense of fairness or just because the food is particularly good. Mistry said she'll simply encourage her servers to "tip out" — i.e., give some of their tip money to the kitchen employees — a little bit more than they did in the past, but strictly on a voluntary basis. It's somewhat surprising, on the other hand, that The Half Orange isn't one of the restaurants ditching tips, given that its owner has written extensively (most notably in an essay on Slate.com) about his experience running a tipless restaurant in San Diego. But Porter said that, over the years, he's come to the conclusion that restaurants that do a lot of bar and takeout business — such as The Half Orange does — aren't well suited for the no-tipping model. Still, his approach to leveling the pay disparity is notable as well: He said he set up his staff in such a way that nearly every employee — even the cooks — has some kind of direct service component to their job. That way, they all get to benefit from tips. Because of the wide range of responses among restaurants, there likely will be some confusion in Oakland's dining scene next month, and customers will have to read the fine print on every menu to determine how much, if any, tip to leave — and, of course, whether the new price points are ones they're willing to accept. Prior to the November election, economists with UC Berkeley's Center for Wage and Employment Dynamics (CWED) released an analysis of Oakland's proposed minimum wage increase that was broadly supportive of the measure and downplayed potential negative impacts that such a change might have on local businesses. The report cited, among other evidence, the fact that neither San Francisco nor San Jose experienced spikes in unemployment when those cities implemented minimum wage increases recently. The researchers also predicted that Oakland's initiative would only cause restaurant prices to increase by 2.5 percent, so that, for example, the price of a $10 meal would rise to just $10.25. It's striking, then, that many Oakland restaurants plan to raise prices on March 2 by much more than 2.5 percent — so striking, in fact, that Sylvia Allegretto, an economist at UC Berkeley and the CWED's co-director, said she suspects that restaurant owners might just be using the minimum wage increase as an excuse to raise prices. 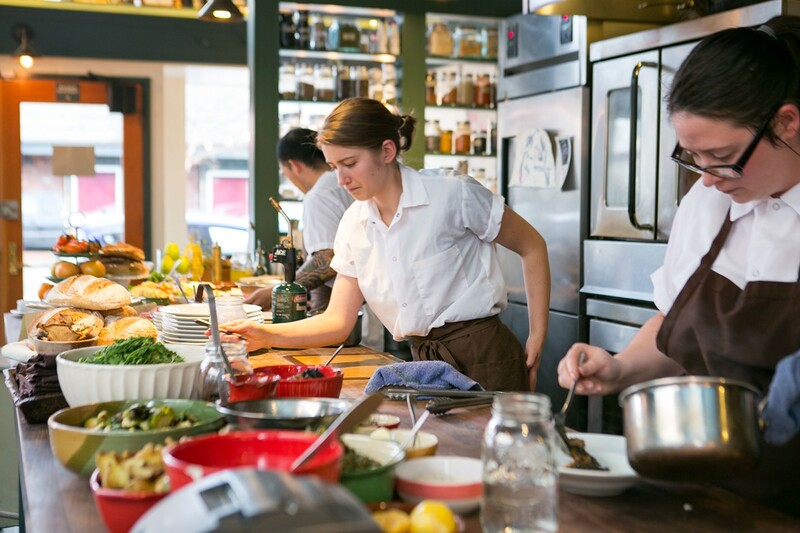 Consider that only a portion of a restaurant's staff is subject to the pay increase, and that payroll is only a portion of the restaurant's total expenses, which also include rent, utilities, and the ingredients used to make the food. "How much is the price of a meal dependent on a minimum wage worker that's subject to the increase?" Allegretto asked. For Allegretto, it's inconceivable that a 36 percent increase in the minimum wage — from $9 to $12.25 — for one group of employees would lead a restaurant to mark up all of its prices by 20 percent. And she said that there are other benefits to the increased minimum wage that restaurant owners are underestimating — the fact, for instance, that worker turnover likely will be lower, allowing restaurants to save time and money on training new employees. What's more, the restaurant's calculations don't consider the fact that all of the workers who will benefit from the minimum wage increase, including their own employees, will have more money to spend — $120 million in increased earnings in Oakland, according to the CWED analysis. It's not difficult to imagine that a chunk of that money will be spent at local restaurants by minimum-wage employees who previously didn't have the means to do so. Michael Reich, the lead author on the UC Berkeley analysis on Oakland, wrote in an email to me: "As an economist, I don't put much stock in individual anecdotes or statements about planned responses to minimum wage increases. They often are not followed up." However, Reich acknowledged that his analysis included all kinds of restaurants, including fast-food joints and chains, whose finances might look quite different than those of an independent operator. Moreover, some Oakland restaurants plan to give pay bumps to all of their employees next month. Porter of The Half Orange, for example, said he will give his kitchen workers significant raises. 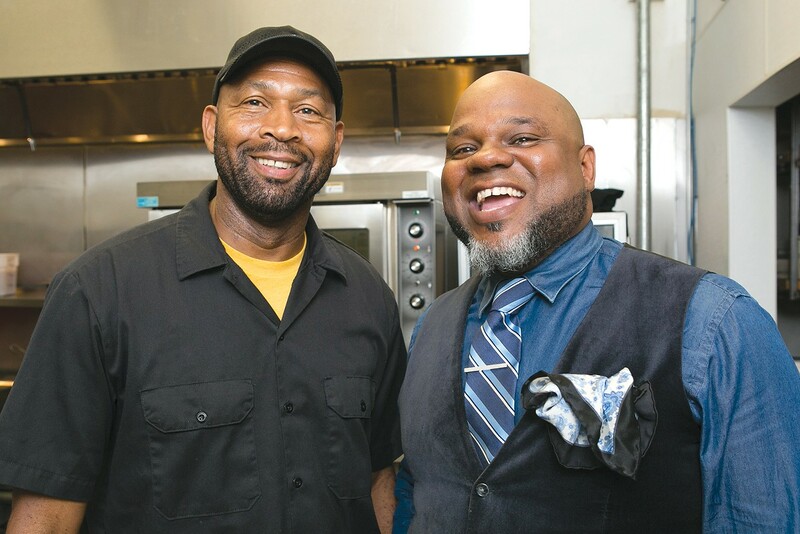 And Porter noted that his restaurant purchases a lot of its ingredients and supplies from Oakland-based vendors, who might also raise their prices to account for the minimum wage increase. Of course, these justifications for raising prices immediately might become moot over time if customers decide they aren't willing to pay them. So, in an industry that's notorious for razor-thin profit margins that, even in a best-case scenario, hover around 5 to 10 percent — there's significant risk involved, whatever approach restaurant owners decide to take. As Delany put it, "We have to live by these numbers. If we underestimate the impact, we're out of business." Although tip-free restaurants are still relatively rare in the United States, Homestead is hardly the first to do it in the Bay Area. For many years, Berkeley's Chez Panisse has had a mandatory 17-percent service charge that includes an option for customers to give an additional tip. Camino recently adopted an all-inclusive pricing system very similar to what Homestead is planning. Last month, the restaurant eliminated tips and raised prices by 20 to 25 percent, which the owners say has allowed them to boost everyone's base wage and narrow the pay gap between cooks and servers. Duende, in Uptown Oakland, has announced plans to move toward this all-inclusive model as well, although owner Paul Canales said he's holding off until he has a clearer idea of how customers will react to the more modest price increases he's implemented so far. Of course, all of these restaurants are, if not strictly "fine dining," then, at the very least, businesses that appeal to a wealthier demographic that's less likely to experience sticker shock from menu price jumps. And, in any case, as Homestead's Sassen pointed out, his 20 percent price hike is equivalent to what most diners give as a tip anyway, meaning that their out-of-pocket expenses will be essentially the same. When they look at the menu and see a ribeye for $36, they'll know exactly how much they're spending. For these restaurants, perhaps the biggest question isn't so much whether customers will rebel against not having the right to determine the gratuity (though, of course, that's very possible). Rather, it's whether that in evening out the disparity between servers and cooks, they might inadvertently drive their most highly qualified waiters away. After all, why stay at a restaurant when you could make $10 or $20 an hour more at one down the street that has kept the tipping model in place? Sassen and Camino co-owner Russell Moore argue that they're also giving their servers some benefits in the new arrangement. According to Moore, servers at Camino now have more stable hours and have an easier time accumulating enough hours to be considered full-time employees, thus qualifying for health benefits. A server also no longer gets shortchanged when he or she is assigned to a slow shift when customers, and thus tips, are few and far between. "Yes, they don't experience the highs of New Year's Eve, but neither do they experience the lows of a rainy Saturday brunch — or not working at all," Moore said. Sassen also believes that the removal of tipping helps to create a more professional career track for front-of-the-house employees, whom he plans to offer opportunities for incentive-based raises and promotions, rather than placing the burden of compensation on the customer. Right now, Sassen argues, there's not much incentive for an individual waiter to go the extra mile and, for instance, become an expert on different wine varietals — especially not at a restaurant like Homestead where the tips get pooled and divvied up at the end of the night, so that every server on the shift takes home the same amount. And currently, an ambitious server at Homestead who got a "promotion" and became a manager would actually wind up taking a 30 percent pay cut, because as managers, they would no longer receive tips. That won't be the case once the restaurant eliminates tipping. Still, Sassen concedes that the possibility that his servers will decide to go elsewhere is the biggest fear he has about the change — though he also pointed out that other restaurant owners who don't equalize their front- and back-of-house disparities probably won't be able to compete with him on the pay they're offering their cooks. And, as The Half Orange's Porter, who ran a tipless restaurant in San Diego called The Linkery for many years, has argued, there are various philosophical and ethical reasons to eliminate tipping as well. Porter cited a number of studies by Michael Lynn, a Cornell University professor of consumer behavior and marketing, whose research indicates that the culture of tipping doesn't necessarily result in better service, and can lead to all kinds of unintended negative consequences — for instance, the fact that middle-aged white men tend to get treated better than other customers because they're perceived to be better tippers. Porter said tipping also allows restaurant owners to skirt the law by punishing their employees simply by assigning them to less busy shifts, where they'd be all but guaranteed to make less money. Local labor activists aren't convinced that the nascent movement to eliminate tipping isn't just a way for restaurants to skirt their own responsibilities to pay their kitchen employees a fair wage. Ellouise Patton, the director of ROC the Bay — the Oakland-based Bay Area outpost of the Restaurant Opportunities Center — said that her organization opposes the elimination of the tipping system because of the negative impact that it would have on the workers who benefit from tips. Patton pointed out that restaurants in San Francisco and San Jose were able to manage recent minimum wage increases without getting rid of tips. And Ty Hudson, a researcher for UNITE HERE Local 2850, the union that represents hotel, food service, and casino workers in the East Bay and North Bay, argues that while he strongly supports higher wages for back-of-the-house employees, he doesn't think restaurant owners should use the line cook's low pay as an excuse to take money away from servers — to essentially pit two classes of workers against each other. "We don't believe in fighting amongst ourselves over the scraps," Hudson said. "We believe in a bigger pie." In Hudson's view, the vast majority of servers don't lead the kind of charmed life that some restaurateurs describe — they aren't "raking in the dough," especially if they don't work at a high-end dining establishment. "CEOs are overpaid. Waiters and waitresses are not overpaid," he said. Nevertheless, Hudson said that he wasn't necessarily opposed to the idea of the restaurant industry moving away from the culture of tipping — of placing the burden of adequate compensation back on the employer, where it belongs, rather than on the customer. But both he and Allegretto of the UC Berkeley Center for Wage and Employment Dynamics say they would feel more comfortable with a shift in that direction if more protections were put in place for the workers. Indeed, this was part of the reason why labor organizations pushed to add a provision to Measure FF that stipulated that money from any "service charges" that a restaurant collected would all be given back to the employees that provided the service — a significant change from the state law, which allows businesses to simply treat that money as general revenue. This is true, for instance, of restaurants in Berkeley, such as Chez Panisse and Comal, that charge a service fee: None of that money goes directly to the server, though the restaurants use the revenue to help fund better overall wages for their employees. 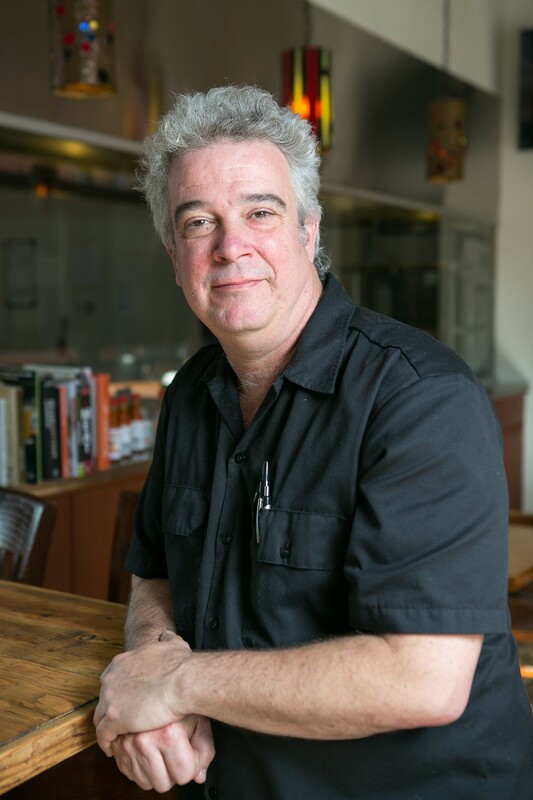 When the minimum wage increase first passed, several Oakland restaurants, including Camino and Duende, initially announced that they would be implementing a service fee in lieu of tipping, but then recanted because of the hazy legal area surrounding what restaurant people refer to as the "chain of service." Are workers who aren't directly waiting on tables — cooks, for instance — part of the chain and, thus, eligible to take a cut of the service fee revenue? Recent court rulings indicate that this might be the case, but the lack of certainty led most of those restaurant owners to go in a different direction. They wanted to make sure back-of-the-house employees got a fair share of that money, but worried that they'd be opening themselves up to a lawsuit. But Allegretto said that the intention of that provision was only to make sure that employers didn't keep the service fee for themselves, not to keep it out of the cooks' hands. Whether that interpretation will stand up in court remains to be seen. There's another option, but it's one that might be difficult for both restaurant owners and customers to accept: Restaurants could raise their prices high enough so that they could afford to give both their servers and their cooks a healthy raise. But would diners be willing to pay those prices? Ultimately, Actual Cafe's Bednarz admitted that it's easy for him and his peers to lose perspective when it comes to the topic of a minimum wage increase. What gets lost amid all of this hand-wringing, he said, is that there are a lot of workers whose lives will be vastly improved by the new law — a benefit to society that far outweighs any inconvenience he has to work through as a business owner. "There is a much bigger Oakland at stake here," Bednarz said. Meanwhile, Sassen said he's just relieved that he's made his plans public now, and that for the most part, the feedback that he's gotten has been positive. He said he definitely has a sense of fear about how customers will respond, and whether his servers will stick around. 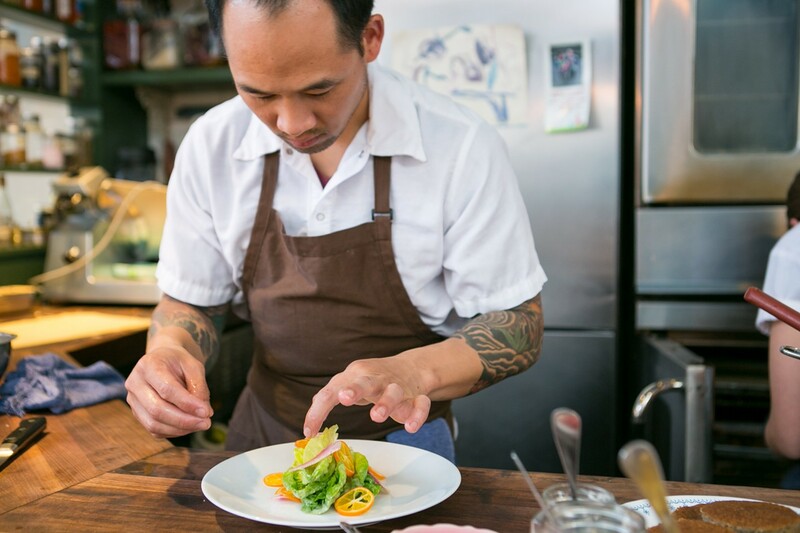 But he's also convinced that the tipless system is the way of the future — and that there's no way the restaurant industry can continue to allow the cooks, whose craft forms the foundation for Oakland's much-vaunted food movement, to reap so few of that movement's benefits. "The system that we have is very extreme," he said. "Why don't we go back to something more normal?"